Sony has announced the lineup of free PS Plus games for April 2019. The first free game for PS4 subscribers is Conan Exiles. You are an exile, one of thousands cast out to fend for themselves in a barbaric wasteland swept in sandstorms and besieged by enemies on every side. Grow crops or hunt animals for food. Harvest resources to build weapons and tools. Build a shelter to survive. Ride across a vast world and explore alone, or band together with other players to build entire settlements and fortified strongholds. 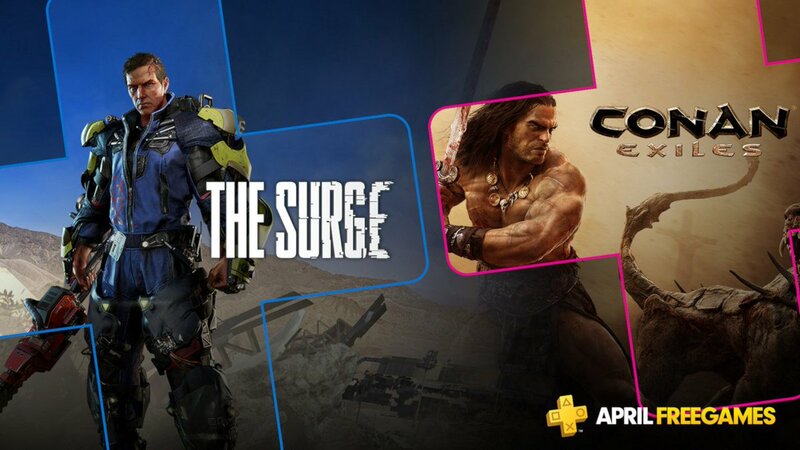 The second free title for members is The Surge. The Surge is set in a heavily dystopian future as Earth nears the end of its life, those who remain in the overpopulated cities must work to survive as social programs become saturated by an aging population and increasing environmental diseases.